And even Him I’m not so sure of. No running from fear, pain, myself. – Dale Hartwig (1940-2012) loved the wilderness. He went to his cabin in northern Michigan whenever he could. Poem #38 was written during advanced Parkinson’s from his room at the Care Center in Grand Rapids, MI. 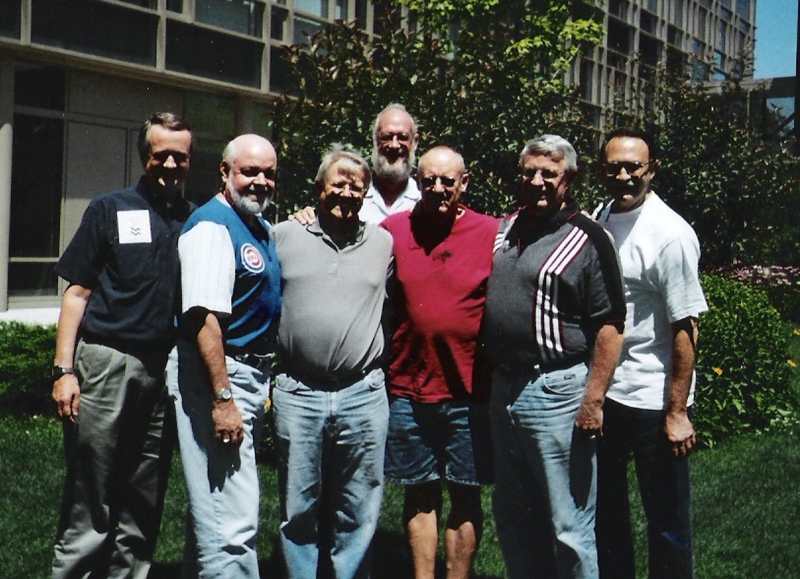 Dale was one of seven classmates who gather annually for reflection and the renewal of friendship. Since Dale’s death, there are six. 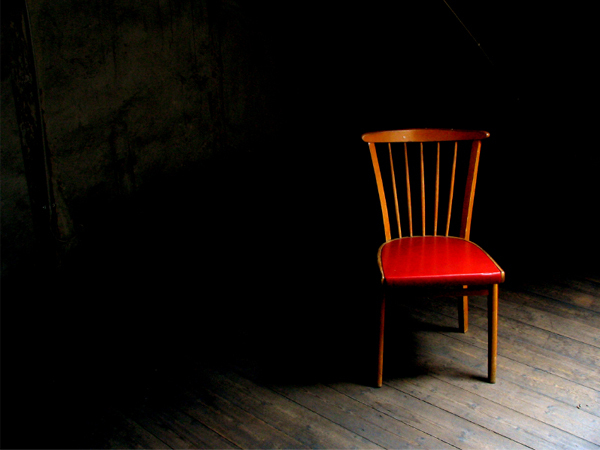 An empty chair preserves Dale’s seat in the circle. 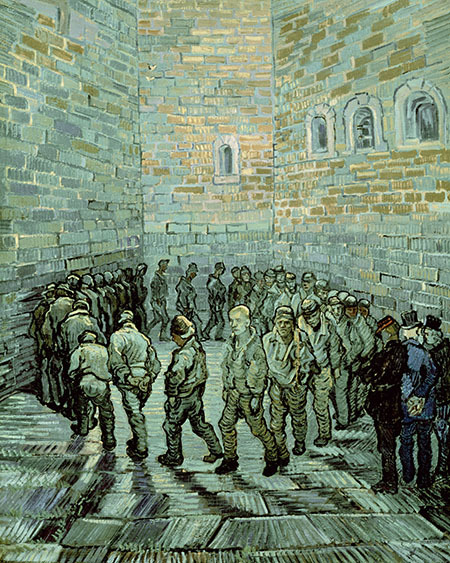 Prisoners Exercising, Vincent Van Gogh, 1890 with Van Gogh looking out and beyond. Dale Hartwig stood out from the crowd. He wrote for himself. His was a rich inner world, a necessity for survival as Parkinson’s shrank his world to the size of his room at the care center. His writings, shared with a group of six close friends, deserve a larger audience. Dale’s verses and poetry often echo the Hebrew psalmists. They are visceral, sometimes crying out like Vincent Van Gogh exercising in his asylum at Saint-Remy, and at other times delighting at the sight of a fluttering leaf or falling snowflake outside his care center window. None of Dale’s pieces have titles. Like prisoners, they only have numbers – the order in which he wrote them, as best we can tell. Behind and before, Thou goest, O Lord. Like the wind I cannot see. But why so silent in ways of my need? To let you but walk to trust in me. And my thoughts locked to the darkness around. The prison that seems to abound. Toward the One who would give me so much. But, with You, so much, so much. The last time Dale joined the annual Gathering of classmates in Chicago, he surprised us. He wasn’t supposed to leave “home” – but he did. He somehow managed to get himself to the train station in Grand Rapids, Michigan, board a train for Chicago, and make his way from Union Station to Hyde Park by public transportation carrying a suitcase on the stiffening legs he still exercised daily.